The operational simplicity and control of an online account. Security that helps you sleep at night. Inflation-busting interest paid daily. 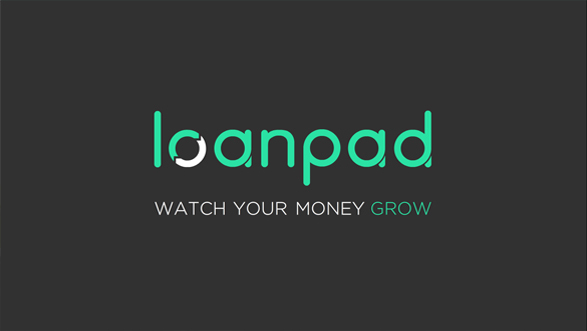 Watch your money grow with Loanpad. Or sign up. It’s free! Watch our introductory video and learn about us in just 60 seconds. Loanpad gives you the flexibility and transparency of an online account and inflation-busting interest – all on an easy-to-use online platform. And you can enjoy your interest tax-free with a Loanpad ISA. Authorised by the Financial Conduct Authority (FCA), we’re underpinned by smart property loans – meaning we can pass on stable returns to you while keeping overheads and risks as low as possible. Think of us as an online account with inflation-busting interest. Think of us as a peer-to-peer lending platform that’s simple to use and built for lower risk. We’re all of this, and more. You’re in the driving seat. You can check your daily interest and see our complete loan portfolio at any time. You can withdraw money from our Classic account (-% interest) whenever you want*. Our Premium account (-% interest) needs a little more planning - just 60 days’ notice*. You can keep money in both types of accounts, as well as in your cash account, and move it around to suit your needs. And you can set your daily interest to reinvest or take it as income each month. *We do all we can to release your money as soon as you ask for it. But it does depend on funds being available, and from time to time there may be a slight delay. Enjoy the power of compound interest. The -% and -% rates we talk about are flat yearly rates. But we pay interest every day into your cash account. If you choose to have this reinvested in a lending account, you’ll be making interest on your interest – boosting your returns even beyond our advertised rates. In other words, you can be earning interest tomorrow on the interest you earn today. Built for protection. Our innovative structure is designed to keep risk as low as possible: with shared lending through established property lenders (lending partners), daily diversification, an interest cover fund – and much, much more. See how we safeguard your money. Unlike with savings accounts, with a lending account there’s no FSCS protection and your money is at risk. Loanpad Limited is registered at 254-258 Goswell Road, London, EC1V 7EB. CRN 09479658. Loanpad Limited is authorised and regulated by the Financial Conduct Authority (FRN:741576) and by HMRC as an ISA manager. Loanpad, as with all peer to peer lending, is not covered by the Financial Services Compensation Scheme. Copyright © Loanpad 2019. All rights reserved.